If some or all your livelihood comes from selling products on Amazon.com, it’s important to know what type of actions can lead to a temporary hold or even a suspension of your account. Equally important: what to do to get reinstated once Amazon takes action against you. According to two online selling experts who spoke with Multichannel Merchant, the number-one reason for Amazon taking action against an account is if they suspect the seller is offering counterfeit goods. Malik said in some instances, Amazon may impose temporary holds against legitimate sellers who are posting items that have come under scrutiny, such as counterfeit consumer goods from overseas. This can take place when a manufacturer puts heat on Amazon because their brands are being damaged and revenues lost. Both Malik and Wingo said a poor order defect rate, which can be caused by things like too many returns, shipping wrong products, bad customer reviews or poor shipping performance, often leads to an Amazon account hold or even suspension. 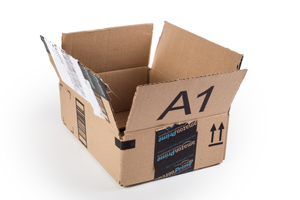 If a seller is using Fulfillment by Amazon (FBA) to get their products to customers, various packaging issues can land them in jeopardy, Malik said, including scanning labels in the wrong place, cloth items that aren’t poly-bagged or grocery items too close to the expiration date set forth by Amazon’s requirements. “If they see you’ve had too many of those issues, they may place your account on hold until you remedy them,” he said. The good news, Wingo said, is that Amazon gives merchants a fair amount of time to resolve their issues before being kicked off. Once an account is suspended, however, it could be months before Amazon lets the merchant back on. “In that case you have to have a strong business case as to why they should let you back into their ecosystem,” he said. When Amazon does initiate an action against a seller, they should keep their tone professional and civil in all communications. The worst thing, Wingo and Malik said, is to get confrontational or nasty, or even threaten to take legal action – which is foolish in any event against a behemoth like Amazon. Gather all your facts, and make a business case for your reinstatement: highlight your track record on Amazon (tenure, volume of sales, quality of feedback, etc. ); state specifically how the issues are being addressed and note they are a one-time event. Be persistent: if seller support doesn’t get back right away, keep after them, restating your situation and how it’s being rectified. Don’t put all your eggs in one basket: sellers should be active on other marketplaces (eBay, Etsy, Craigslist, etc. ), so a temporary hold on your Amazon account is just a speed bump. Also consider creating a second account in a relative’s name as a fallback.